The V&A in London is the world's largest museum of decorative arts and design, housing a permanent collection of over 4.5 million objects. It was founded in 1852 and named after Queen Victoria and Prince Albert. 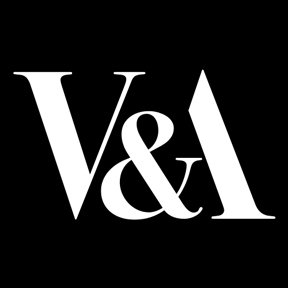 The V&A covers 12.5 acres and 145 galleries. Its collection spans 5,000 years of art, from ancient times to the present day, from the cultures of Europe, North America, Asia and North Africa. The holdings of ceramics, glass, textiles, costumes, silver, ironwork, jewellery, furniture, medieval objects, sculpture, prints and printmaking, drawings and photographs are among the largest and most comprehensive in the world. The museum owns the world's largest collection of post-classical sculpture, with the holdings of Italian Renaissance items being the largest outside Italy. The departments of Asia include art from South Asia, China, Japan, Korea and the Islamic world. The East Asian collections are among the best in Europe, with particular strengths in ceramics and metalwork, while the Islamic collection is amongst the largest in the Western world. FuturePlan is transforming the V&A (Victoria and Albert Museum) by revitalising visitor facilities and redisplaying the collections. Using the best architects and designers, it is bringing the museum into the 21st century and restoring modern design and innovation to the heart of the museum. Queen Victoria loved Scotland, so it's fitting that the London museum bearing her name owes some of its current phwoar factor to a clutch of talented Scots who are among the key players working to bring the £120 million FuturePlan project to fruition. Phase I, affecting 70 per cent of the museum's collections, culiminated in the opening of the Medieval and Renaissance Galleries on 2 December, but this year alone the museum has also unveiled the first half of its stunning new ceramics galleries (when Phase II opens next July there will be a total of 26,500 objects on display); a revamped shop and garden; a new theatre; the Gilbert Collection (gold, silver, mosaics, and enamel portrait miniatures); the Buddhist sculpture gallery; and even a new women's loo containing a bespoke mural: Six Circles in Disorder, by Swiss artist Felice Varini. Though it's all change here at the V&A, Moira Gemmill, director of projects, design and estate, sits before me on this early November day a calm, collected, ultra-sleek sliver of black-clad cool. Just as she is no fusty pencil-pusher, it is no longer fair to dismiss the museum as venerable but dull. Today's V&A is vibrant, vivid and full of va-va-voom.